One of the four in the signature series. Thank you was designed to make for someone as a special way to thank them. 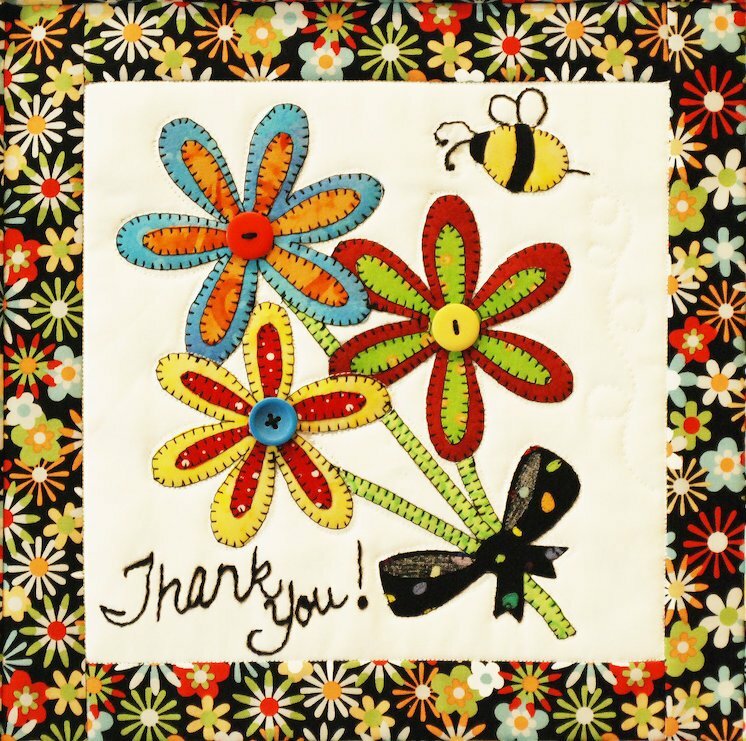 Make this cute quilt and then have everyone sign it and send as a quilted thank you card. Add a wire frame and they can hang it to remember all their special friends!